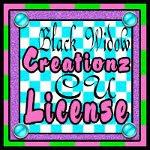 This tag was made with the cute lil kit called Scary Friends by AW Designs which you can purchase HERE. 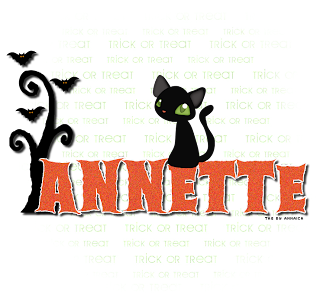 I used a FTU mask in the Halloween mask pack by Creative Misfits which you can download HERE. 1. Open a new canvas. 800 x 800 is good to start with. Leave the white background for now. 3. Add drop shadow to bats and tree by going to FILTERS>LIGHT AND SHADOW>DROP SHADOW with levels set at 5/5/5 with black as color. 4. Type in the text of choice in an orange shade. 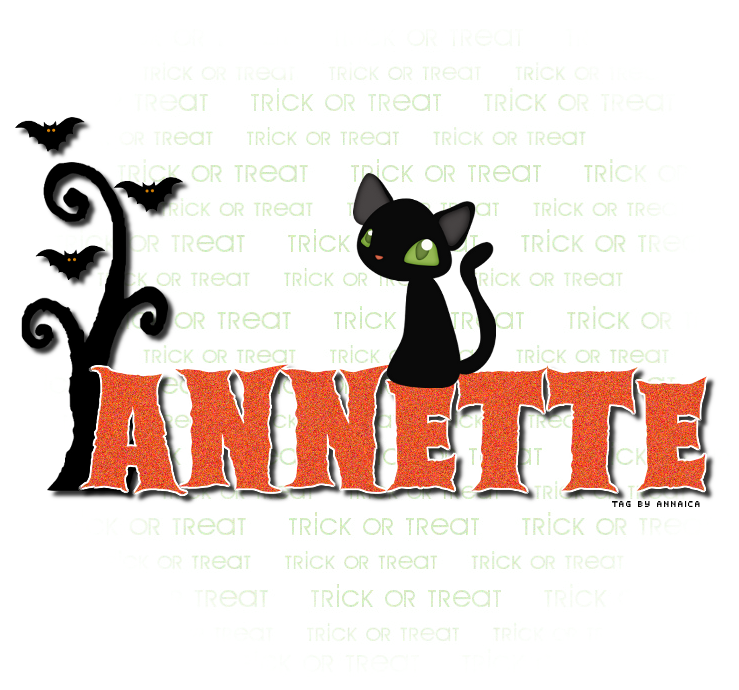 I used a font called Ghoulish size 160. Right click on this layer in the layers box and choose ALPHA TO SELECTION, then go to SELECT>GROW by 2 and add a new layer... Use the bucket fill tool to fill with white. Add a drop shadow to this also. 5. Use the text tool to add who made the tag and any copyright info if necessary. 6. Use the rectangle select tool to crop around the outside of your tag. Go to IMAGE>CROP TO SELECTION. 7. Delete the white background layer. 8. Save the file as .xcf RIGHT NOW in case you need to return to make changes anytime in the future. 10. To continue to animation, I am going to show you the steps in the following photos. Then duplicate ALL 3 LAYERS so there's a total of 3 per layer. (left) see how there's 3 of the kitty layer? 3 total copies each of the 3 original layers. Arrange each layer as shown. From top to bottom: Kitty copy #1, NAME#2, mask copy #1. Kitty copy, NAME#1, mask copy. Kitty, NAME, mask. When they're in the right pattern, right click on the top NAME layer and choose ALPHA TO SELECTION. Then go to FILTERS>NOISE>RGB NOISE with settings at 20/20/20/0. Click the next NAME layer to make it active and go to FILTERS>REPEAT RDB NOISE. Once more on the bottom NAME layer. Lastly, make sure white is your background color and then right click on each layer in layers box and choose REMOVE ALPHA CHANNEL and each layer will show a white background. 11. To check the animation of this tag, you can go to FILTERS>ANIAMTION>PLAYBACK and hit PLAY. It will show you if it is put together ok.
12. If it's working good, save as .gif and a box will pop up and you will need to have the SAVE AS ANIMATION selected. Hit the EXPORT button. Another window may or may not pop up prompting you to crop. I usually trust this prompt and choose CROP. The last window will pop up and you want to have EVERYTHING checked EXCEPT the option INTERLACE and USE DISPOSAL ENTERED. For the milliseconds, 100 is a good number. And I DON'T CARE is a good option for the frame disposal. Hit the SAVE button.